Welcome home to Lakeland Landing where you will experience the finest in comfort and convenience. 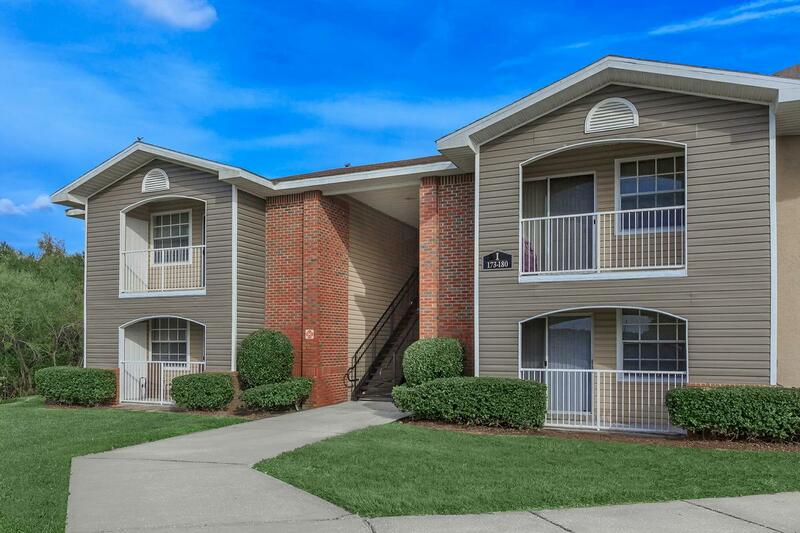 Our community provides easy access to I-4, making Orlando and Tampa a brief 40 minute drive away. Our small, secluded tranquil community is located within walking distance of restaurants and shopping. Choose from distinctive floor plans designed with luxury and comfort in mind. We offer one or two bedrooms, and we have something to suit everyone. Our apartment homes feature gourmet kitchens with all electric appliances, a private balcony or patio, plush wall-to-wall carpeting, vaulted ceilings, central air and heating, a washer and dryer in each home, and so much more. At Lakeland Landing, we are proud to offer a variety of community amenities that fit any lifestyle. Invite family and friends over for an afternoon barbecue, relax by our sparkling swimming pool, or enjoy an invigorating work-out in our state-of-the-art fitness center. Tour our photo gallery today and discover for yourself why Lakeland Landing is the perfect place to call home. Choose from distinctive floor plans designed with luxury and comfort in mind. We offer one or two bedrooms, and we have something to suit everyone. Our apartment homes feature gourmet kitchens with all electric appliances, a private balcony or patio, plush wall-to-wall carpeting, vaulted ceilings, central air and heating, a washer and dryer in each home, and so much more. At Lakeland Landing, we are proud to offer a variety of community amenities that fit any lifestyle. Invite family and friends over for an afternoon barbecue, relax by our sparkling swimming pool, or enjoy an invigorating work-out in our state-of-the-art fitness center. Tour our photo gallery today and discover for yourself why Lakeland Landing is the perfect place to call home.